It is spring where we live which means plenty of beautiful spring bulbs! 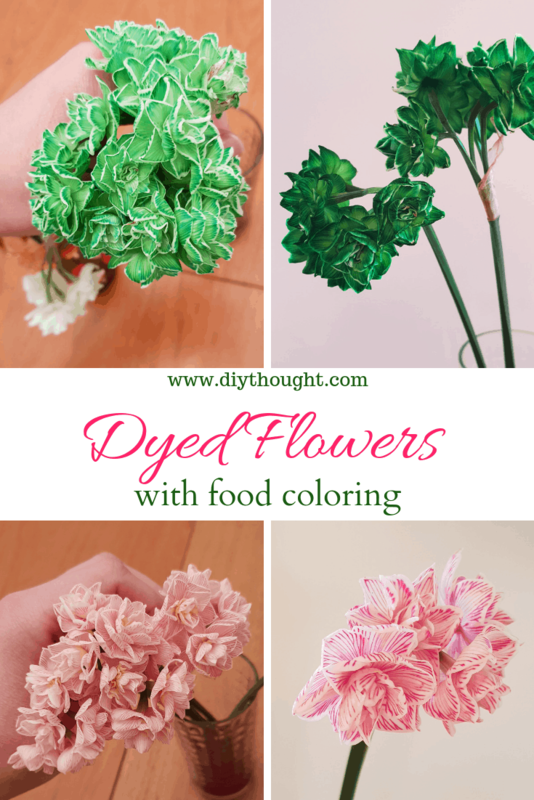 The kids and I did this fun science experiment where we dyed flowers using food coloring. This is a simple and very interesting project to do which the kids loved. 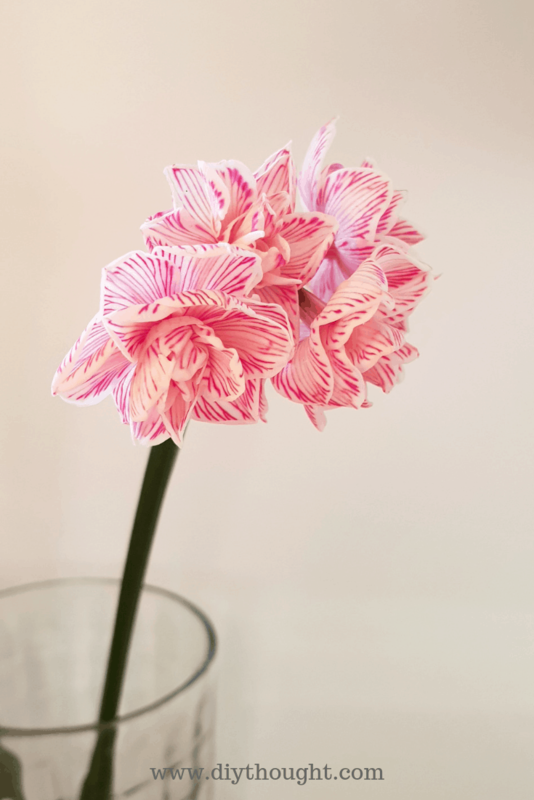 Gather up some flowers and put the stems into food coloring to see some amazing results! 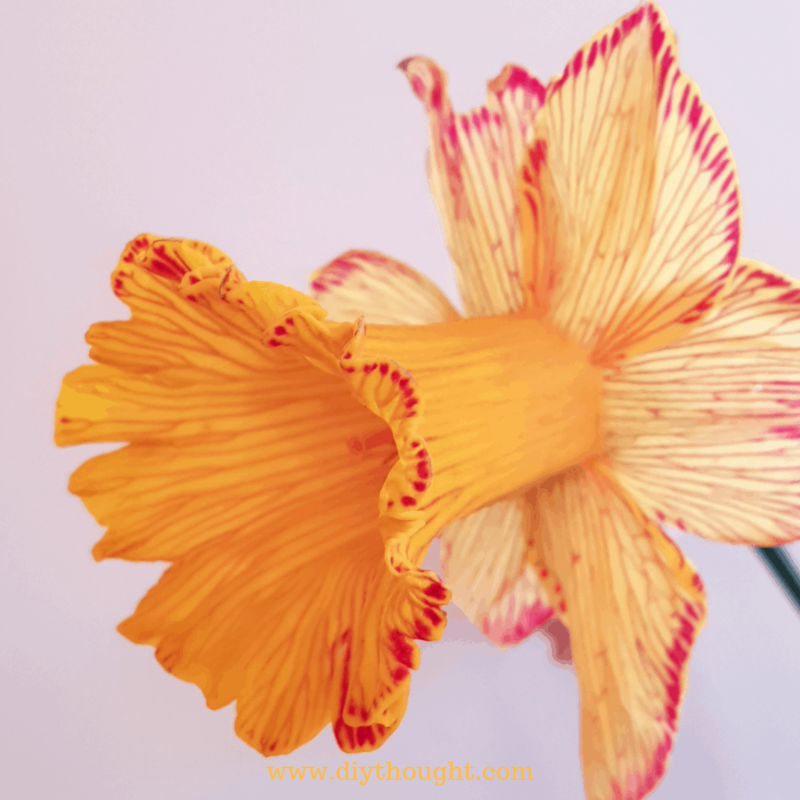 We used Earlycheer, a variety of daffodil along with one traditional daffodil. When selecting flowers is best to choose white or a pale colored flower as the transformation will really stand out. Our girls love looking at the different colors and the difference between the two types of flowers. When we do this again I will try to include more flower types so we can compare and analyze the differences. Flowers- preferably white or a pale color. 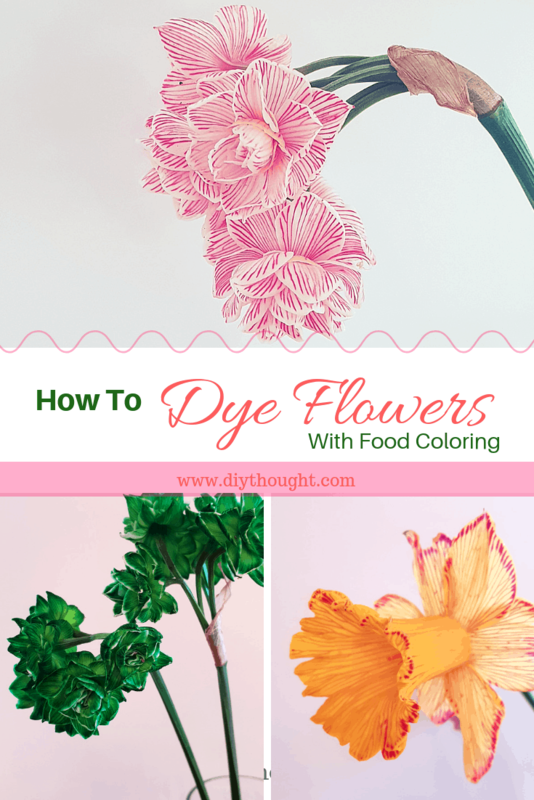 Decide on what color you want to dye your flowers. We all choose one color each and kept one undyed so we could compare the difference in flowers. 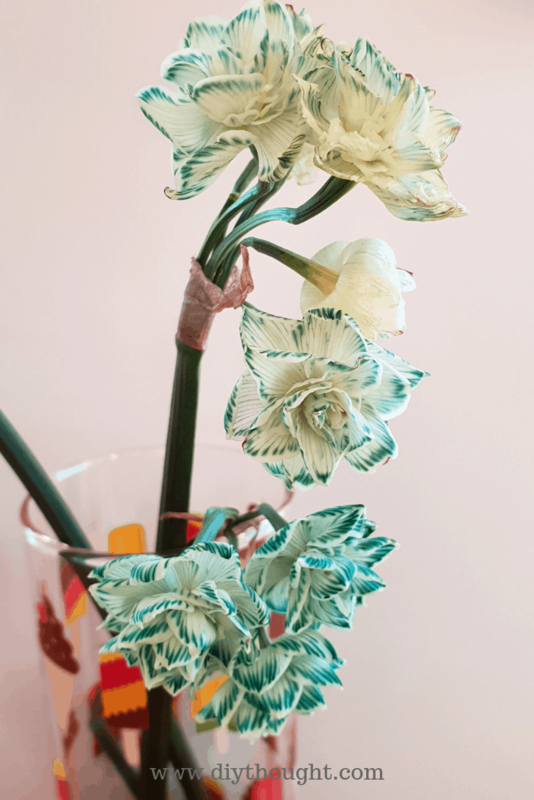 Dilute the food coloring into a vase or jar. We used liquid food coloring for all but the black which was a gel. You can experiment with how much water can be added to the coloring, do some stronger than others and see how the results vary. We put a little more water than food coloring but it was a close to equal split. 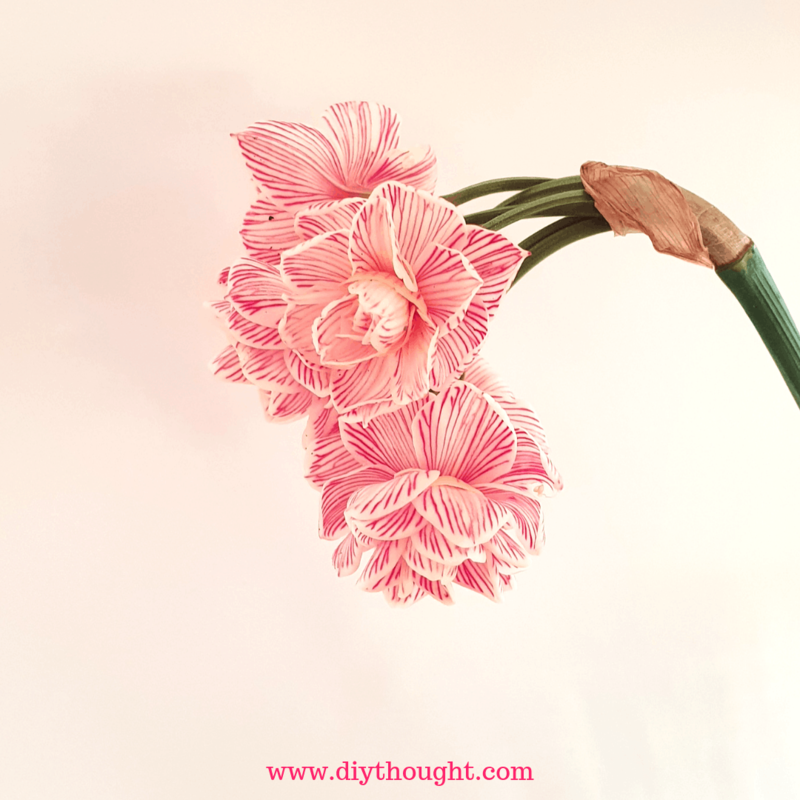 The flowers drank and transformed almost immediately! 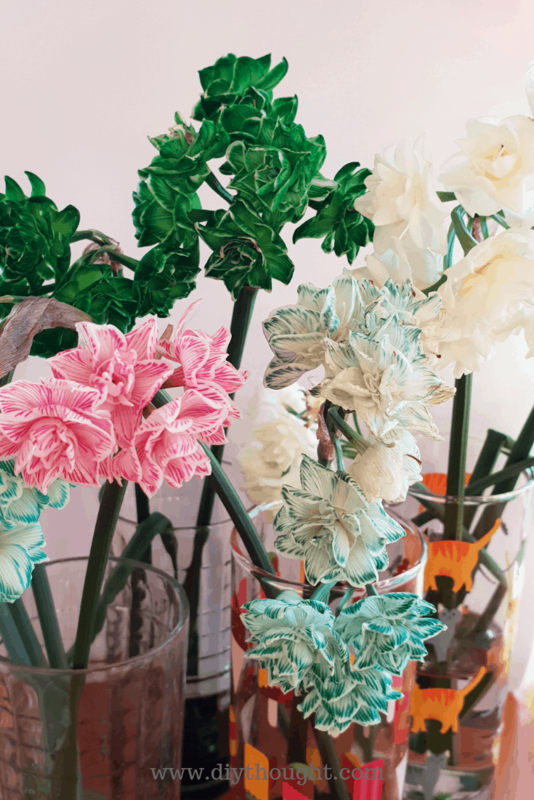 Add the flowers you want to color to the coloring water mix. Mix each color separately and add flowers. We kept one vase clear for reference. We were amazed at how quickly the transformation happened. In the time the girls had their bath the flowers were already noticeably different. Within an hour they were the bright final colors photographed. 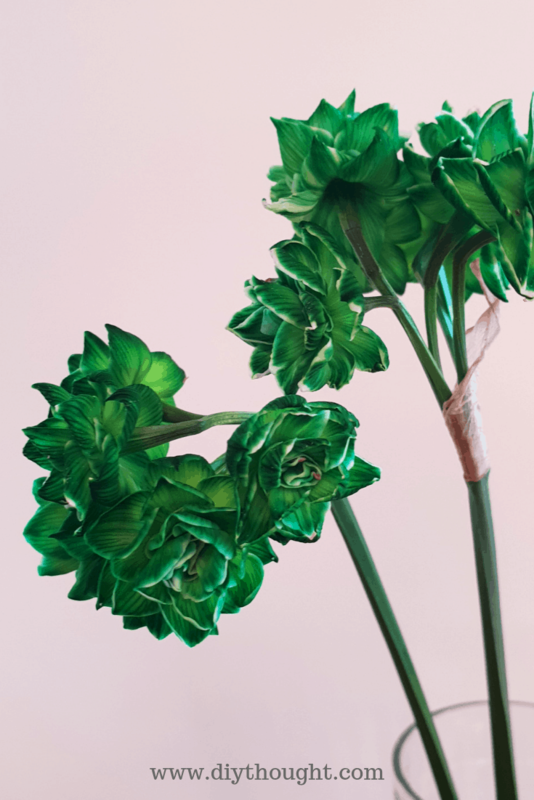 Some types of flowers will take longer than others and we found that the different colors dyed at different speeds. The green pigment was the fastest and the black the slowest. In the above image, you can see how the colors developed over time. The left photos were taken not long after being placed in the water coloring mixture. The green had transformed within minutes of being placed in the water, the red/pink 20 minutes or so after but the black had hardly taken any of the pigment when we first took these photos. Below you can see the final stunning colors. The liquid red food coloring gave beautiful results. We were all interested to see the results of using a black gel coloring. The flowers took much longer than the others to change color and the girls were amazed to see it wasn’t really black! Almost immediately the flowers started to change from white to green. To achieve a lighter look try adding more water or remove from the coloring sooner. 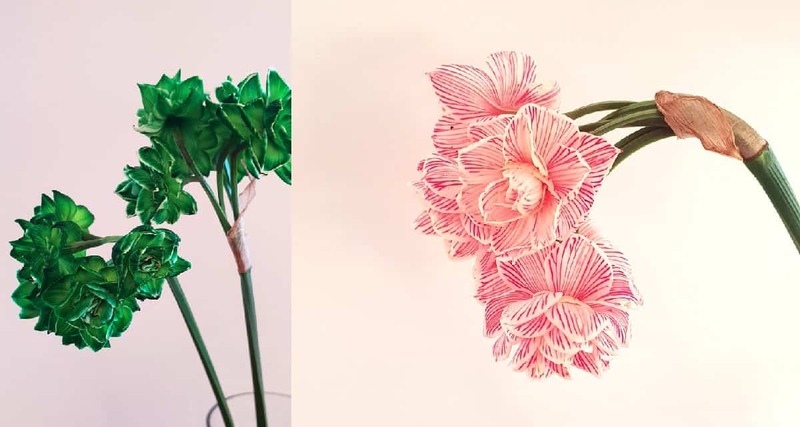 All of our dyed flowers using food coloring together. After a couple of hours of color transformation, we topped up the glasses with more water. In the morning we bundled them up to give to the girls teachers. Click here if you would like to learn more about the science of this experiment.